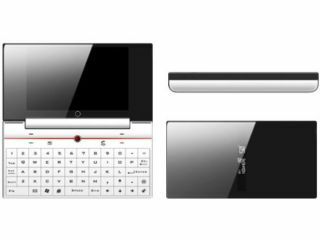 Windows Mobile device specialist HTC is set to launch a high-spec 3G phone with a mini-notebook style Qwerty keyboard and ultra-slim design, according to reports. Details of the HTC Omni have yet to be confirmed by HTC. But reports online suggest the device will be a Windows Mobile 6.0-based mobile with 3G HSDPA and Wi-Fi connectivity. The HTC Omni will feature a 4-inch 800 x 480pixels display in a fold-up device that looks like a miniature version of an ultra-slim laptop. The specification reportedly includes a GPS receiver, 256MB ROM,128MB RAM and MicroSD card expansion. TV and VGA out connections are supported by the device, and dimensions are said to be 130(l) x 81(w) x 16(d) mm. Unwiredview.com claims details of the HTC Omni came from a leaked HTC 2007 roadmap presentation. However, Tech.co.uk was unable to verify the claims; a spokesperson said "HTC doesn't comment on speculation or rumour". The reports suggest an October release for the HTC Omni.